Clinic Directors Liz and Ellen started OneBody Physiotherapy in 2012 to provide high quality physiotherapy services for both private paying clients and those with health insurance. Our aim is to provide fast access to quality physiotherapists at a reasonable price. We have a team of experienced physiotherapists running the practice’s clinics in Beverley, East Yorkshire. Clinics here are available Monday, Wednesday, Thursday and Saturdays with both daytime and evening appointments available. Our practice based at Bourn Hall Clinic, Bourn, Cambridgeshire offers appointments Monday- Friday with evening appointments also available. All our physiotherapists are experienced clinicians who are Chartered Physiotherapists, registered with the Health & Care Professions Council. 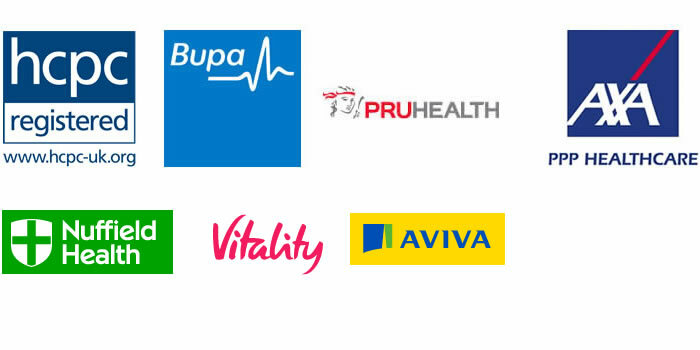 We are registered with the HCPC so are able to work with the majority of insurance to deliver physiotherapy services through your private health insurance. We are registered with Bupa, AXA PPP, Vitality and Aviva, and are part of the Nuffield Fusion Network as an accredited practice. Please contact us if you wish us to confirm that we currently work with your particular insurer.